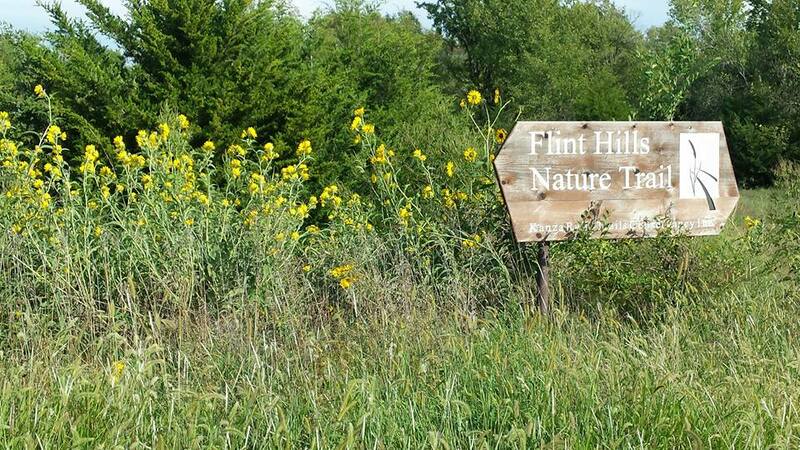 Flint Hills Nature Trail won the vote for Top Kansas Trail Destination of the Year, and we’ll be honoring that vote at a presentation at the Council Grove library on Friday, July 13 at 3pm. We’ll be presenting a free copy of the book to the library as well as giving a short presentation on the FHNT and trails across Kansas. Books will be available for purchase as well as signing. Iola wins trail town of the year! A clear winner from our poll, we’ll be awarding our 2017 Kansas Trail Guide Town of the Year to Iola. The presentation will be on Thursday, July 20 at 2pm at the Thrive Allen County conference room, 9 South Jefferson Ave, Iola. Along with the award and an honorary copy of the Kansas Trail Guide book given to Thrive Allen County, we’ll be presenting information on the trails of Kansas and just what you can see when you get off the highway and explore. From wagon trail ruts and Civil War history to impressive geologic formations and beautiful wildflowers, there’s some amazing things to see. You’ll also be able to buy your own copy of the Kansas Trail Guide book, get a copy signed, and ask any questions about the trails of Kansas that you might have. Looking forward to honoring Iola and to seeing you there! We’re excited to be back this summer to keep on sharing our love of Kansas trails, and letting people know what’s out there throughout the state. We’ll be giving a talk on the varying trails and ecosystems and adventures of Kansas at Ellen Plumb’s City Bookstore in Emporia at 2pm on July 8. That’s one week from day! Mark your calendars and bring your copy to be signed or buy one! Fun fact on the place itself — it’s named after Ellen Plumb, who opened Emporia’s first bookstore back in 1870. Our segment with Sunflower Journeys was filmed in August at the Konza Prairie, and it will premiere at the end of the Recreation episode that’s airing on 11/10/16 – episode 8 of Sunflower Journey’s 29th season. About Sunflower Journeys: Kansas’ longest running local history program, KTWU’s Sunflower Journeys, travels the highways to bring Kansas stories home to viewers. And now, there are various ways you can see KTWU programming. Sunflower Journeys airs three times a week on KTWU. Thursday at 8 PM, Friday at 2:30pm, Saturday at 5:30PM and the following Wednesday on KTWU’s Enhance channel at 7:30pm. Sunflower Journeys also airs on KCPT in Kansas City, KPTS in Wichita, and Smoky Hills Public Television in the western part of the state. Check local listings for airtimes on those stations.